Next time you visit Chennai, be sure to visit Porur where you can now be served food by friendly robot waiters. A restaurant with a team of seven AI waiters in the neighbourhood has been recently going viral. Located in Mugilivakkam-Porur, the restaurant has a woman AI receptionist who offers a warm welcome to customers in Tamil and English. Other robots are programmed to bring them food. The cuisine? Indo-Asian. According to a report in ANI, each of the robots cost about Rs 5 lakh. The robots can even sense movement. If someone is blocking their way, they have been programmed to request them to move, the Hindu reported. 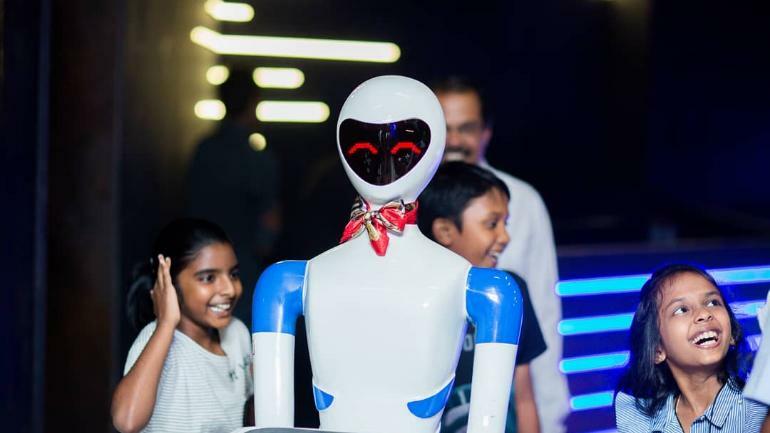 This is not the first robot hotel in India, the first one having opened in Chennai itself in November 2017. It was called ‘Robot’ and started with a team of four AI waiters. However, according to a 2018 report in Scroll, the restaurant had been reporting low sales as the ‘novelty’ had worn off. Though the machine learning sector is booming with many industries including dining and hospitality taking to it, hotels employing AI often report problems. Henn-Na hotel in Japan, the world’s first fully-AI staffed hotel had to fire almost 50 per cent of it’s ‘staff’ as customers complained they were missing the human touch and that the robots were “annoying”. With job loss being the talk of town currently, restaurants adapting to AI could ring alarm bells. According to the National Sample Survey Office’s (NSSO) 2017-18 data, report, unemployment has been at the highest in 45 years. However, the restaurant in Porur has human staff too who are trained in handling the robot staff. So the machines might not be taking over after all.